It is common that the normal gutters capture leaves, twigs and debris that results in them clogging. LeafGuard’s design, allows water to travel down into the gutter, while preventing blockage. 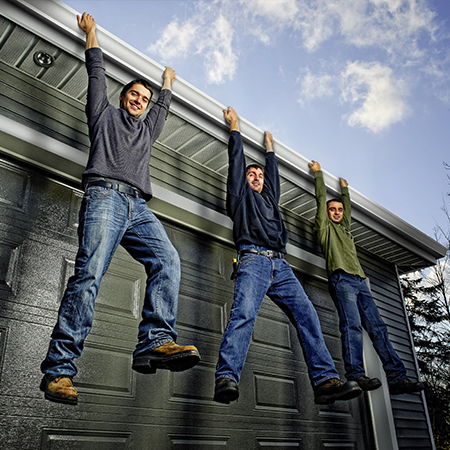 Eavestrough cleaning comes free of charge when installing any of our leaf guard products. 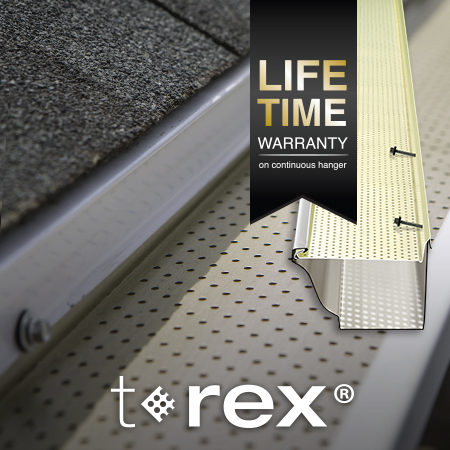 We install T-Rex continuous hanger system to extend the life of your gutters while enhancing the exterior appeal of your home for years to come. This system make your gutters much sturdier and more long-lasting than those mounted with spikes and hangers spaced at intervals, also protects from damage caused by ice and snow and prevent debris from accumulating. It comes with a lifetime warranty on material and sturdiness and also with a 40-year clog-free warranty. Without replacing your gutters, the Gutter Clean System keeps leaves and debris from getting into and clogging the eavestroughs. Made of weatherproof sturdy aluminum, the Gutter Clean System will not rust, crack, chip or warp. 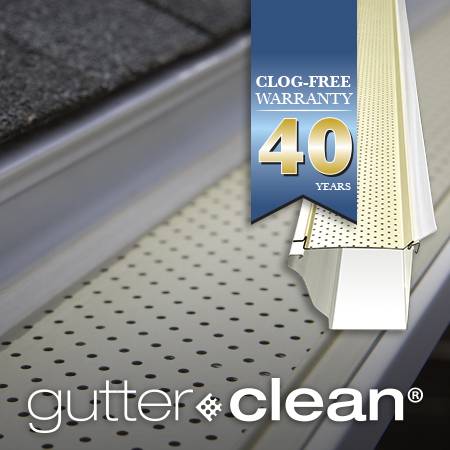 With its 40-years clog-free warranty, you are guaranteed that your rain gutters will not clog and leaves, debris, snow, and ice remain on top of the product, leaving rain gutters functional at all times. There are different factors that can affect your eavestrough performance such as, debris, eaves trough and downspout size or placement, too many or not enough slope. Be safe and take care of your investment, contact us today.